There are millions of reasons I love coming home to America during the festive season... but one of the definite highlights is a visit to the local supermarket. It's always fun to scope out what America's food manufacturers have flavoured to meet the needs of the holidays ahead. Take Halloween, for example. This is a holiday that is more or less aimed at rotting our teeth and filling our bellies with refined sugar. You won't hear any complaints from me. It's a holiday favorite. 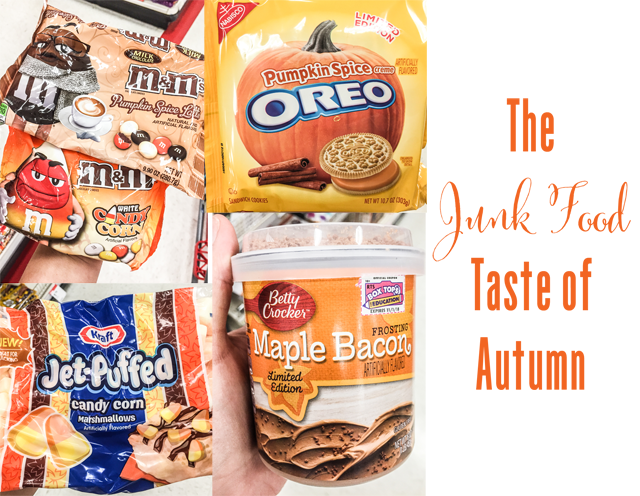 This year, however, it seems that every single item of junk food has a festive twist - whether it be pumpkin or candy corn flavoured. It wasn't enough to give us oversized bags of candy for tricker treaters. 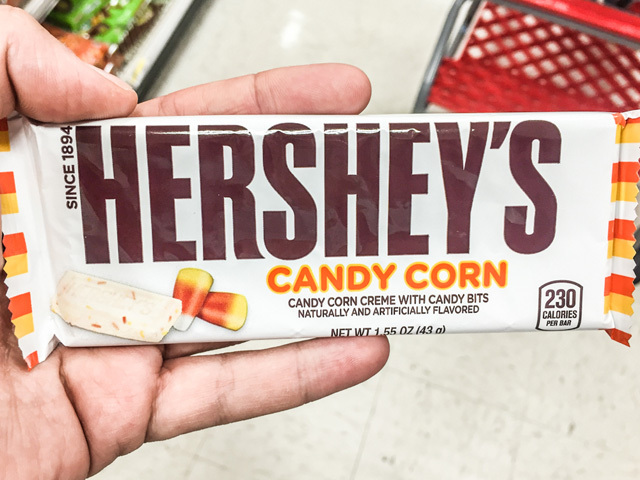 Oh no, we now have to have the candy itself meet the seasonal flavor requirements. Junk food in America is now officially transformed according to the holiday period, and, yes, it's worth highlighting to the masses. 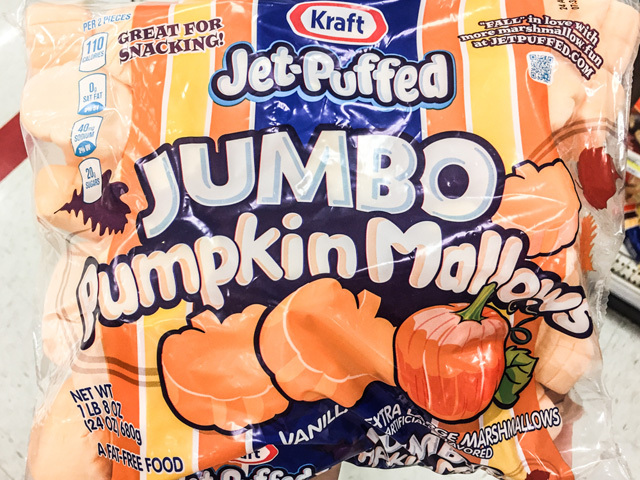 For those of you shopping for Halloween on American soil, here are my top ten suggestions for Halloween junk food... straight from the package. 2. 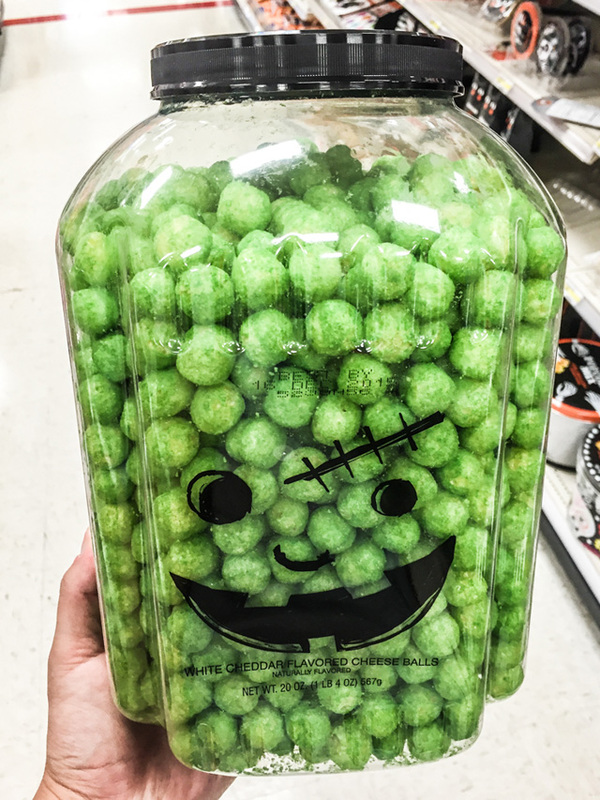 Yes, even cheese balls are in on the game this autumn. From orange to green. Actually, they didn't really even have to change colour to meet the seasonal requirements. Odd. 3. 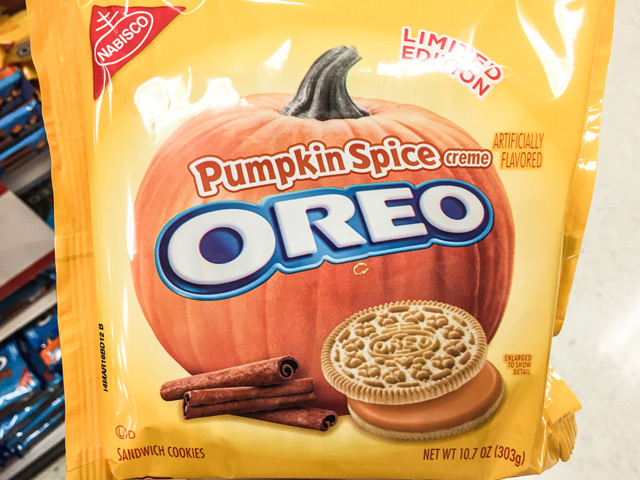 Oreo- you are just getting out of control. How many flavours of Oreos have you released now? Three hundred? Oh hell, who am I kidding? Love every new release... keep 'em coming! 4. 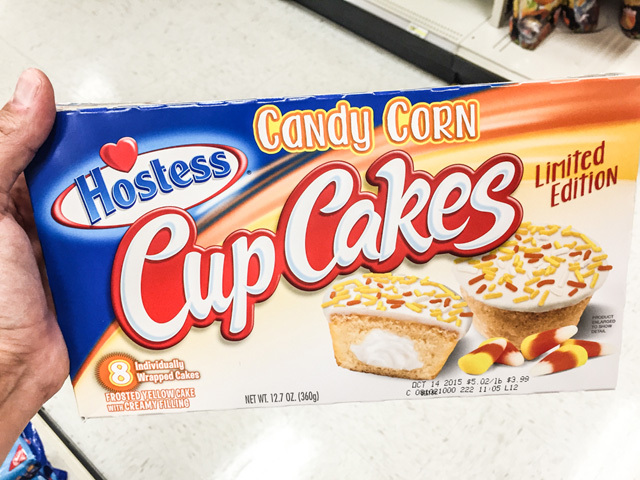 Thank you Hostess, for Candy Corn Cupcakes. Because what are cupcakes without a candy corn flavor this autumn? 5. 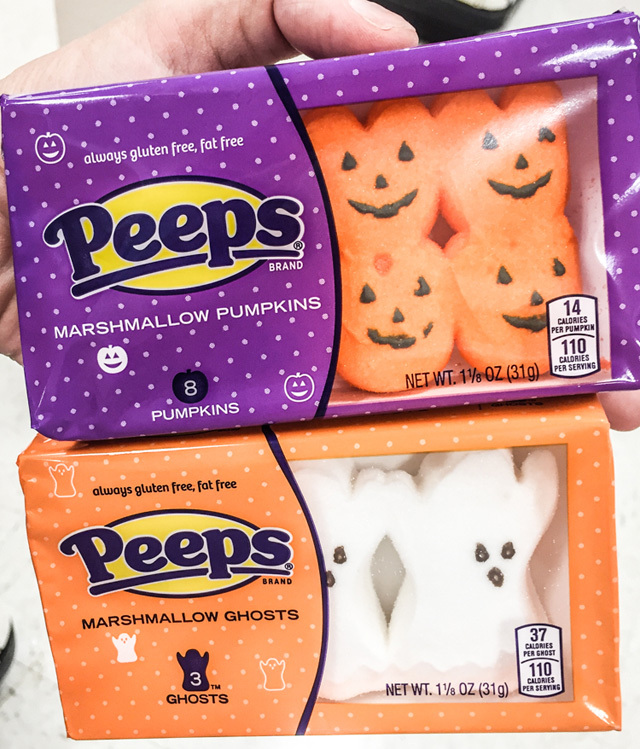 Peeps aren't just for Easter. Although, this changed ages ago. For Halloween we have Pumpkins and Ghosts. In case you didn't know - these are basically just marshmallows covered in sugar. One of your five-a-day, naturally. 6. 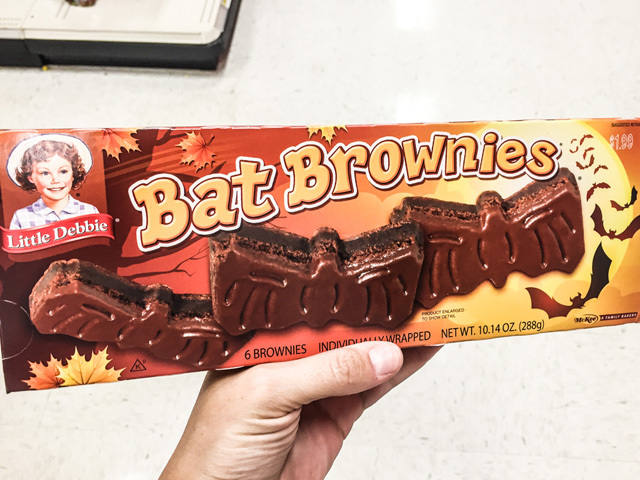 Bat Brownies... ok, a little obvious. 7. 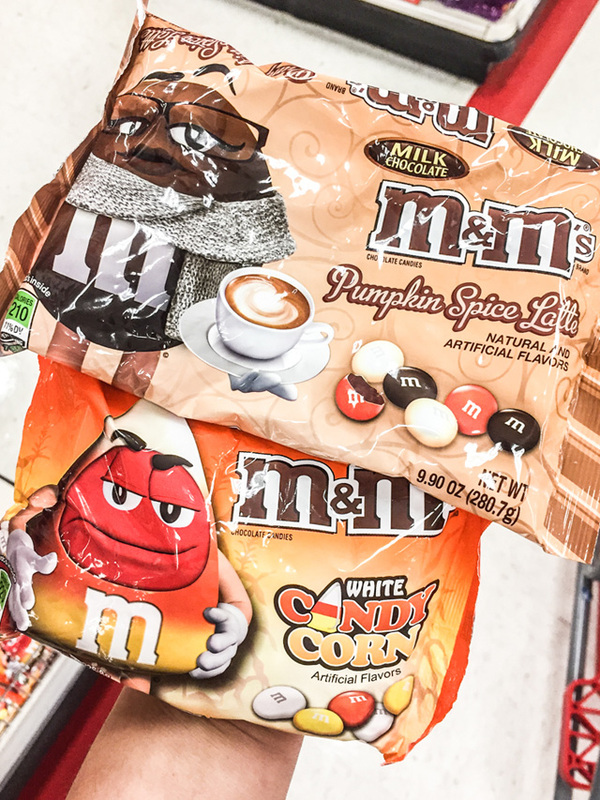 Looks like M&Ms are taking inspiration from Starbucks this season. 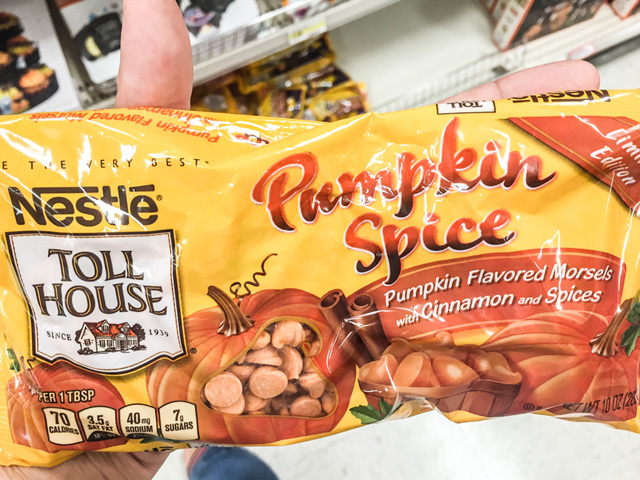 Pumpkin Spice Latte M&Ms, really? Or if that's not your speed, there are candy corn M&Ms at the ready. 8. Forget chocolate chip cookies. It's all about the pumpkin spice cookies from Toll House! 9. This takes the cake...or shall I say "tops the cake?" 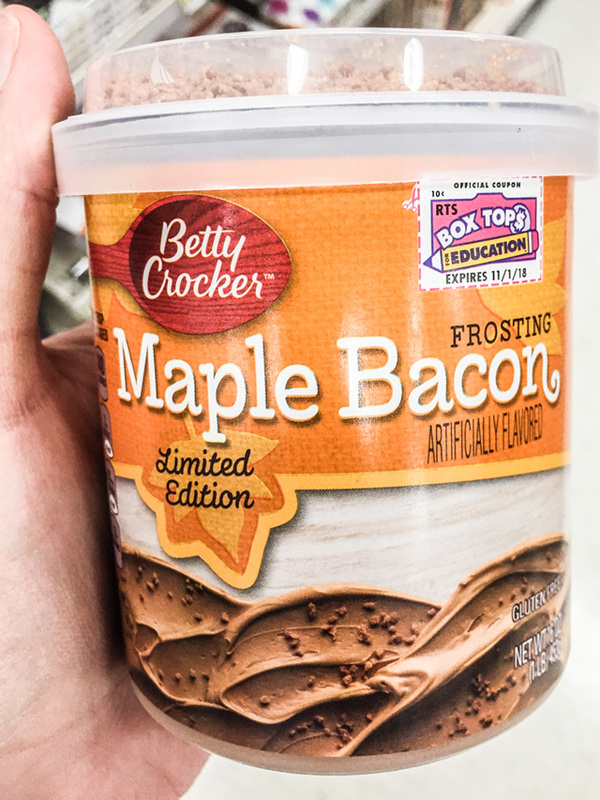 Maple Bacon frosting! 10. 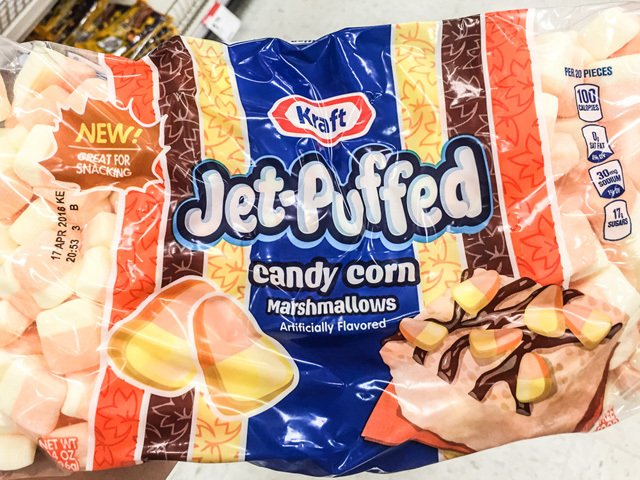 Why not have Candy Corn and Pumpkin flavored marshmallows?